PRICE REDUCED on this sweet unit. 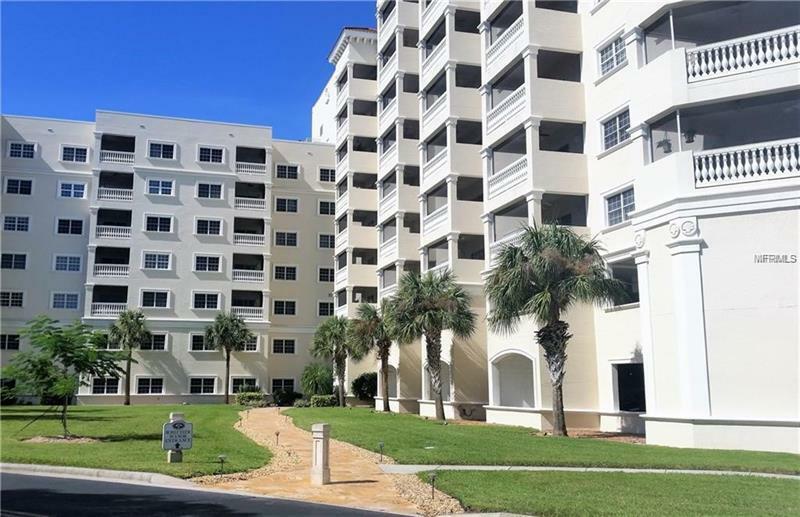 Pride of ownership shows throughout this condo & is offered with existing furnishings & move-in ready! Lovely 6th floor unit with 2 bedrooms, 2 baths, warm hardwood floors in living area & bedrooms, & glowing with natural light. Owner's en suite has a step-in shower & walk-in closet. Guest bedroom is separated from the living area by a pocket door & has its own full bath with tub & shower & walk-in closet. A breezy screened balcony is accessed from the guest bedroom & living room via sliders. Galley kitchen has electric range, microwave, refrigerator, disposal & dishwasher, & closet door hides a stack washer/dryer. Dining area is conveniently located just outside the kitchen & flows to the living room with relaxing balcony just beyond. Front entry has a closet for additional storage & 4 ceiling fans keep air flowing. This is a sweet, quiet & comfortable unit in a well-managed complex. Each floor is accessed by elevators & each floor has a sitting area & gorgeous atrium with flourishing trees & gardens where residents gather & socialize. Whittier Manor residents have available for their use a craft room, meeting room, activity room, game room, library & TV/music room. Other amenities are available under a separate club membership & fees. This 55+ community is gated & located near shopping, restaurants, an abundance of services, health parks, YMCA, trails, downtown Venice, beaches & I75. The unit is well-priced, offers easy living, and is ready for a new owner. Amenities Additional Fees: Separate club membership at Jacaranda Trace offers many amenities under a different fee program. Pet Restrictions: Dogs are allowed only in villas and on the 1st floor of "D" wing & one dog per unit under 25 lbs. One cat is allowed in all villas & all units in Whittier Manor.